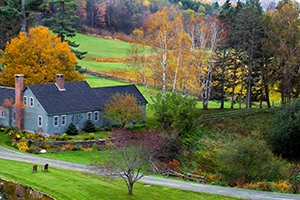 Colchester, Vermont boasts friendly residents, beautiful landscapes, prosperous businesses, and an award winning school district, making it a great place to live, work, and raise a family. With 27 miles of shoreline along Lake Champlain, the area offers ample year round recreation, including boating, hiking, youth sports programs, summer camps, and holiday festivals. You’ll find a unique blend of rural and suburban living in Colchester with a mix of working farms, rolling hills, newly constructed neighborhoods, condo complexes, and plenty of amenities. Colchester is centrally located between Albany, Boston, and Montreal. Browse homes for sale in Colchester below. Contact us if you have any questions about a property or would like to schedule a showing. Create an account to save your favorite listings and get email notifications when similar listings come on the market.